The Play: With none out, none on, and a two-strike count, the batter attempts to strike a fastball, missing the pitch as it traveled through the strike zone. The catcher, too, misses his catch, as the ball bounces off his glove and into the air, where it strike’s the bat as the batter completes his natural backswing. As the deflected ball caroms toward the wall behind home plate, the batter-runner arrives at first base ahead of the catcher’s throw. Using professional rules, what is the call? The batter-runner should be out for runner INT under (new rule) 6.01(c), as he has clearly hindered the catcher’s attempt to field the ball after strike 3. The ball is dead, and the batter-runner is out. Even if we rule this “weak” or “backswing INT” under pro rule 6.03(c) The ball will be dead immediately, and so the batter will be unable to advance on strike 3. 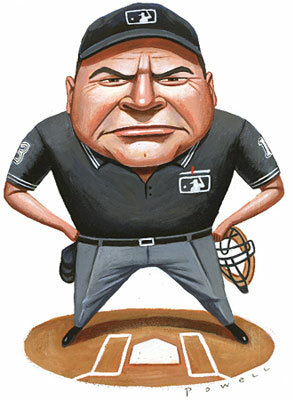 There’s no harm or foul intended on the BR’s part, so just kill the play, award a strike and return your runners. In this case, the BR had a X-2 count, so, he’d be out. Standard weak interference. It is heard all across America. Fans of major college basketball teams want their school to get the local kids. In mny cases, that would help success but that is not always the fact. 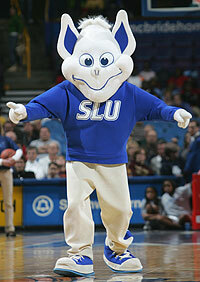 So Travis Ford is now the Head Coach of the SLU Billikens. He mentioned he wanted the kids from St. Louis, Kansas City, the State of Missouri and The State of Illinois to give his program first look and strong consideration. Can that work? If you JUST recruited St. Louis are you putting several key pieces on the floor to help the program? Can you find five players in the area or the city that can play like Division I players should? Jayson Tatum of Chaminade High School was just named the 2015-2016 Gatorade Player of the Year. He accept a scholarship at Duke, not St. Louis under Jim Crews. Tyler Cook, also of Chaminade, has signed to go to Iowa. Mikey Lewis, a guard at Chaminade, is expected to play at Duquesne. Hazelwood Central forward, Xavier Sneed, is playing for Bruce Weber at Kansas State. Jordan Barnes, CBC guard, has his sights set on Indiana State. Granted, they all may not rise to a level of success they are hoping for in D1 basketball, but neither to several other recruits that other school sign. That is a starting 5 that just comes from St. Louis. If Travis Ford can get these kind of players along with Kansas City and compete is Mizzou and Illinois, he has the makings for a very successful future at St. Louis University.